If you are reading this, you are probably interested in learning more about investment terms. And if so, you must have already read or heard of the various types of funds, such as mutual funds, exchange-traded funds, money market funds, pension funds – and hedge funds. Hedge funds are so named because they aim to ‘hedge’ risks to investors’ money through a diverse portfolio boasting of asset classes such as derivatives, equities, bonds, currencies, and convertible securities. In fact, because of this, they are also dubbed ‘alternative investments’. Hedge funds are similar to mutual funds in the sense that both are pooled money, with fund managers typically creating a common fund for trading and investing on their clients’ behalf. However, unlike mutual funds, hedge funds are not open to every individual investor; they are made accessible selectively to those with considerable assets, as well as to institutions. This is primarily because hedge funds, unlike most mutual funds, usually resort to substantial leverage – i.e. take risks – holding both long and short positions (including positions in listed and unlisted derivatives). Hedge fund managers are highly qualified experts who are also expensive: their fees can be as high as 15-20%, much higher than the normal expense ratios for mutual funds. Also, given the risks, it is recommended not only for investors with an appetite for risks, but also who are well off. SEBI recognises this, and as per its regulations on alternative investment funds (AIF) such as hedge funds, the minimum investment ticket size is Rs 1 crore for an AIF. What this means is that under SEBI guidelines, only HNIs and institutional investors are permitted to invest in AIFs; so much so, the minimum corpus for each scheme of AIF is set at Rs 20 crore. Compare this with mutual funds, which are accessible to anyone who can start a SIP with an amount as little as Rs 500. Related: Direct Mutual Funds- should you add them to your investment portfolio? As stated earlier, a hedge fund is one type of AIF, which have been classified into three broad tiers as per SEBI regulations – I, II, and III. The first group comprises angel, venture capital, social and infrastructure funds, the second has PE real estate and distressed funds, while hedge funds fall in the third category. PE investors simply cannot withdraw capital until the end of a fund’s tenure, while the majority of hedge funds invest in relatively liquid assets. Related: Equity Mutual Funds vs Stocks: Where to invest? Foreign Exchange Management Act 1999 (relating to investments by offshore investors/hedge funds into onshore hedge funds). Apart from the two SEBI regulations, the securities regulator also issues circulars at regular intervals announcing new compliance rules, if any, while RBI does the same for new regulations relating to onshore hedge funds. It should be noted that prior to the AIF Regulations of 2012, which categorised hedge funds as Category III AIFs with complex or diverse trading strategies, India had no specific regulations governing onshore hedge funds. However, though SEBI had introduced regulations in May 2012, it also sought over the next few years to relax regulatory mechanisms so as to boost investments, leading to a spurt in inflows into the hedge funds market in 2017. SEBI also took several steps to enhance institutional participation in the commodity derivatives markets, with an aim to boost liquidity, right asset pricing, and price risk management. SEBI also made it mandatory for existing AIFs to activate their accounts on the SEBI portal for filing compliance reports online. There are SEBI specifications in place specifying who can market hedge funds. For onshore hedge funds, SEBI guidelines allow AIFs to be marketed only through private placement or by issuing an information memorandum for private placement memorandum (PPM). On the other hand, India has no specific regulations relating to the marketing of offshore hedge funds. Such activities come under the purview of its foreign exchange regulations such as the Foreign Exchange Management Act 1999 (FEMA) and the Liberalised Remittance Scheme of the central bank. For instance, under India’s forex regulations, Indian residents can invest in foreign securities only as per FEMA provisions, and regulations and circulars issued by the RBI under FEMA. This means Indians can send up to $250,000 abroad for investing in foreign securities, but only under the banking regulator’s Liberalised Remittance Scheme. Moreover, banks – both foreign and Indian – need RBI approval for marketing funds in India and for acting as agents for overseas funds and other foreign financial services company. In a similar fashion, offshore hedge funds come under domestic regulations on foreign exchange remittance limits and process, as well as the Companies Act 2013. A Bloomberg report in May 2018 identified heavy taxation as a key factor stalling the growth of the hedge fund segment in India, and quoted stakeholders as saying that Indian hedge funds could end up managing as much as $12 billion within five years if the authorities implemented some tax reforms. Bloomberg quoted data from Eurekahedge, an alternative investment research firm specialising in hedge fund databases, to put the total investments managed by domestic hedge funds as of May 2018 at just $603 million. As against this, its own data showed mutual funds as managing the equivalent of $284 billion. The twin headaches of fiscal deficit and a current account deficit that the government was grappling with. “Despite the numbers indicating that average Indian hedge funds may not be able to generate enough alpha to justify their fees, we must remember that the Indian hedge fund industry is still relatively young compared to those of North America and Europe,” the Eurekahedge report said. “As of now, this inability to generate excess returns, combined with the various challenges the Indian economy is likely to face in the near future, may pose headwinds for the country’s young and growing hedge fund industry,” it added. 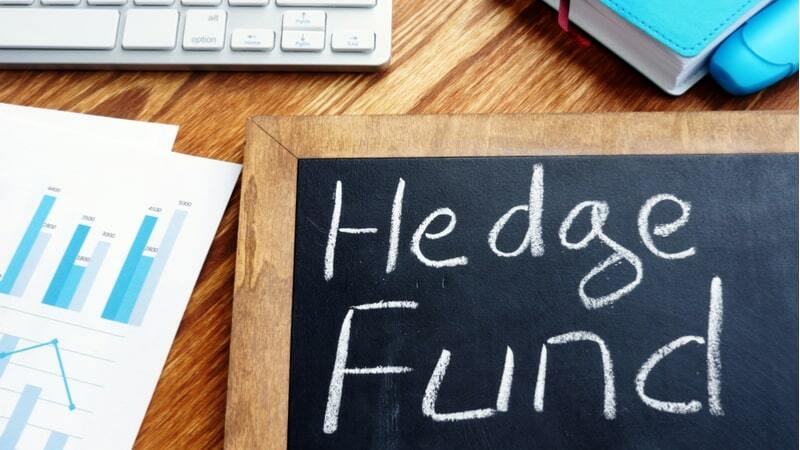 Read more about What are hedge funds? World Heritage is our legacy from the past with outstanding value. The world lives with its heritage and passes it on to future generations. Thus, the World Heritage is an irreplaceable and most precious course of life and inspiration. It is the collective natural and cultural heritage of the world that is an eternal source of inspiration and pride to the population all around the globe. Places as diverse and unique as the Taj Mahal of India, wilds of East Africa’s Serengeti, the Pyramids of Egypt, the Aachen Cathedral in Germany, the Great Barrier Reef in Australia, and the Baroque Cathedrals of Latin America make up our world’s heritage. The concept of world heritage is exceptional because of its universal application. The enchanting and magnificent world heritage sites belong to all the people of the world. The United Nations Educational, Scientific and Cultural Organisation (UNESCO) aims to encourage the identification, protection and preservation of cultural and natural heritage around the world considered to be of outstanding value to humanity. This noble ideal of UNESCO is embodied in an international treaty called the Convention concerning the Protection of the World Cultural and Natural Heritage, adopted by UNESCO in the year 1972. The people of the world are living in various countries but the exceptional concept of world heritage makes them global citizens who partake in the celebration and preservation of the collective heritage of the world. It makes the boundaries of differences disappear and unites the people of the world by making them realise that the collective heritage of the world inspires one and all. There are more than two thousand world heritage sites. It will be interesting to see the current value of some of the architectural wonders of cultural and historical importance. We have chosen 5 monuments of immense significance. Let us explore when these monuments were built, where those are located and what would be the value of construction in today’s context. Taj Mahal is a quintessential manmade wonder that attracts thousands of visitors from across the world. 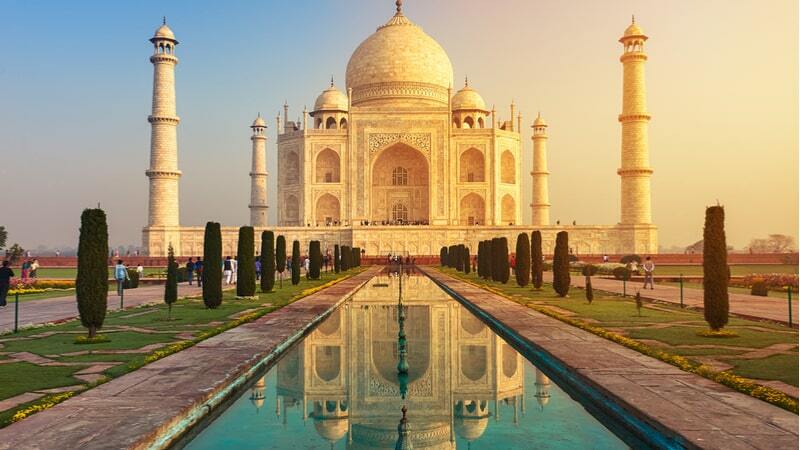 This one of its palaces is named Taj Mahal which means "Crown of the Palaces". Located on the south bank of the Yamuna River in Agra, it is an ivory-white marble mausoleum. In 1632, one of the greatest Mughal Emperors Shah Jahan commissioned to build Taj Mahal to house the tomb of his wife, Mumtaz Mahal. Taj Mahal also houses the tomb of Shah Jahan. The tomb is the centerpiece. This magnificent complex is spread over 17-hectare (42-acre) which includes a mosque and a guest house. A crenellated wall surrounds the gardens around the palace. In the 17th century, the cost of construction of the great Taj Mahal is known to have cost around Rs 32 million. This monument of historical and cultural importance cannot be built again. However, it is interesting to know that in today’s times the construction cost itself would be more than USD 1 billion. Originally known as Liberty Enlightening the World, The Statue of Liberty is an iconic world heritage site located in the United States of America. The United States has received it from France. It was gifted to celebrate the alliance of France and USA during the Revolutionary War. A sculptor named Frédéric Auguste Bartholdi designed the statue. The iron framework underneath the copper plating is designed by Gustave Eiffel, the man who designed the Eiffel Tower in Paris. 2,250,000 francs (USD 250,000) were raised to create the statue. United Nations of America and France raised funds for the construction. The current value of USD 250,000 would be around USD 5,866,982.09. The Pyramid Fields from Giza to Dahshur are declared to be World Heritage Sites in the year 1979. The manmade wonder, Pyramid of Giza shines as the symbol of Egypt and the great Egyptian civilisation. The Great Pyramid of Giza is also known as the Pyramid of Khufu. It is one the largest and the oldest of the three pyramids located in the pyramid complex of Giza. The Great Pyramid of Giza is one of the eight wonders of the world. The most astonishing fact is that this is an ancient monument that is largely intact. Even if we use modern day technology like helicopters, trucks and computers, it would be impossible to recreate the pyramids of Egypt. The Great Pyramid of Giza is constructed around 4,500 years ago. Hypothetically speaking, if today’s humans ever plan to replicate the pyramids then the estimated cost would be between USD 5 billion to USD 10 billion. The medieval Palace of Westminster is amongst the many World Heritage Sites in the UK. A public competition was held to choose the architect Charles Barry to design a new Palace of Westminster. It took 30 years to build the palace for an approximate cost of a little over £2 million. According to the inflation calculator of the Bank of England, the conversion of £2 million in 2019 will be £233,852,631.58. which is £233 million. The unmistakable Parisian landmark is the iconic metal structure called Eiffel Tower. This symbol of love and human ingenuity was built in the year 1887. The original tower cost around 8 million francs in 1889 (roughly, USD 40 million in modern currency). Interestingly, the Eiffel Tower has been declared the most valuable monument in Europe - worth 435 billion euros (£343 billion). Investment is a tricky word. Some say, “In investing, what is comfortable is rarely profitable”, while others feel that investment is a means to saving and earning out of it is not a priority. It is a common trend to get into investment with the motive of high returns and low risk. However, there is no investment plan that guarantees the dream combination of high returns and low risk. All the investment options in India follow the basic principle i.e. higher the return, higher the risk and lower the return, lower the risk. One should choose the option according to their priorities and risk-taking appetite. However, there are myriads of investment options which can be divided into financial assets and non- financial assets. Financial assets are further divided into market-linked products and fixed income products. Market-linked products include investment plans that are linked with the market forces of demand and supply i.e. stocks and mutual funds. While fixed income products are independent of the market and include options like Public Provident Fund, Bank Fixed Deposits. Now, coming to the other part of the spectrum which is non- financial assets, it basically refers to the avenues of gold and real estate. Mutual funds are the best option for someone who wants to balance risk and return as it doesn’t involve the high risk of equity shares as well as the lower risk of FD’s. Though it’s a market-linked product it balances the return risk ratio by providing an expert fund manager who invests our funds. Mutual funds are also further categorised into equity mutual funds and debt mutual funds. The current market trend for equity mutual funds’ 1-, 3-, 5-year market return is 15 %, 15% and 20% respectively. The same for the debt mutual funds is 6.5 %, 8%, 7.5%. This option refers to the direct purchase of equity shares from the market. It involves huge risk and thus needs a lot of research and risk taking capability. However, it proves to be the best investment idea if executed properly in the long term. It is a volatile asset class with a high risk of loss in capital. Also, there are certain ways of controlling that by using the option of stop-loss, choosing the right stock, planning the entry and exit and diversifying the investments. Public Provident Fund is the safest investment option for obvious reasons. The interest rate of PPF from the year 2012-2018 ranges between 7.60%- 8.80%. Thus, people who are looking for stability in saving should opt for PPF. Related: Comparison of PPF and life insurance: Which comes first? This option is the most favourable and safe for the lower risk and lower return supporters. Every deposit in the bank can be insured up to Rs. 1Lakh maximum. The interest is payable monthly, quarterly or annually depending on the bank’s guidelines. There are two types of FD’s namely cumulative and non-cumulative. In the cumulative option, the interest is further reinvested in FD and then paid at maturity of the same. While in the non-cumulative option, the interest is paid according to the terms of underwriting. The interest rates of vary from 6.5% to 7% for FD of a year. The time period for investing in FD’s range between 7days to 10 years. This investment plan is incorporated by the government to provide pension solutions. It involves investing in funds into various channels such as equity bonds, government securities etc. However, the investment decisions have to be sorted by choosing one among the two options of Auto and Active. Auto refers to investing individuals funds automatically in investment channels while in Active, an individual can decide the channels he or she wants the fund to be invested in. The time period of the scheme varies for different people as it matures only at the age of 60. Though the interest accumulated under the scheme is tax-free, if one opts for a regular pension then it is taxed as their income. However, if one opts for lump sum payment then 40% of it is tax exempt. Related: What is National Pension System and how it works? This scheme can be availed by anyone above the age of 60 through bank or post office. It has a time period of five years which may also be extended by 3 more years after maturity. The interest earned is taxable and the rate of interest is 8.3 % per annum. Senior citizens can open more than one account and the upper limit for investing is Rs. 15 lakhs. This is another safe option which is most suitable for individuals with requirements of a regular monthly income. The interest rate is 7.6 % per annum. This scheme can also be availed by anyone as the minimum eligibility age is 10 years. The maximum investment limit for a single account is Rs. 4.5 lakhs while that for a joint account is Rs. 9 Lakhs. The investors also have the option of converting a single account into a joint account. Related: Why should you invest in the Post Office monthly income scheme? These bonds are issued by the government and are taxable as the name suggests. They earn interest up to 7.75 % and have a tenure of 7 years. A Certificate of Holding is given to investor as proof of investment. The bonds are issued in demat form only and are credited to investor’s Bond Ledger Account. Real estate is one of the most preferred investment options in India. It doesn’t include the house that one resides in. It refers to extra properties other than the house which is consumed. The returns in real estate investment come in the form of rentals as well as an appreciation of capital. Both of them vary according to the location of the investment. Also, the limitation of investing in real estate is that it is not liquid. However, it is a good earning option with less risk and that’s why it is the most common investment option in India. When it comes to India, people buy gold not just as an investment but also as a prized possession that they are extremely proud of. Buying gold as jewellery and coins come under this category. Investing in gold is a safe option however one has to make efforts to ensure its protection. Another way of investing in gold is through Gold ETF’s which refers stocks that can be bought and sold at National Stock Exchange and Bombay Stock Exchange by keeping gold as an underlying asset. It is a safer and cost-effective way of investing in gold. Gold is an amazing investment option because of the continuous appreciation in its value. Safety and Risk are two opposite sides of a spectrum and though one can choose a specific side, it is always better to balance both of them and stay in the middle. Thus, one can invest in both fixed income products as well as market-linked products on the basis of their priority. A little mix and match can earn huge returns in the long term and isn’t long-term wealth creation the ultimate goal? Before investing in mid-cap stocks, consider the risks involved. Mid-cap stocks suffered a setback in the year that went by; stretched valuations and rising oil prices have had a negative impact on earnings growth, forcing investors to move away from mid- and small-cap companies to large-cap corporates. This, in turn, has led to the Nifty mid-cap index falling 17% in 2018, with a high one-year forward price-to-earnings (PE) multiple quoting at almost 20 times and the five-year average at a little over 35 times [the higher the PE, the higher the valuation of the stock]. On the other hand, the NSE Nifty 50 Index rose over 3% during the same time. All of this leaves one wondering: is it advisable to invest in such stocks? How risky will it be at this point? Before we delve into the risks involved, let us understand the concept of mid-cap stocks and mid-cap funds. First, the market cap range: mid-cap companies generally have a market capitalisation of between Rs 500 crore and Rs 10,000 crore, and fall between large-cap stocks (Rs 10,000 crore or more) and small-cap stocks (below Rs 500 crore). Mid-cap funds are those that specialise in investing in such stocks. They rank between the two on key parameters such as size, revenue, staff strength, and client base. Next, the risks: even as investment options, mid-cap stocks fall between the other two: they are deemed riskier than large-caps but safer than small-caps, especially because the companies are small. However, it is precisely because of this size that mid-cap stocks are looked upon as long-term investment options, with a possibility of becoming lucrative in 3-5 years. Having said that, the fact remains that one can never say with certainty that mid-caps will outdo large-caps over the long term (just as one cannot be sure of all large-cap stocks either); what is important is whether the valuations support the stock in question. Mutual funds that invest in these stocks, called midcap mutual funds, obviously are vulnerable to the same risks. And while they are known to have outperformed large-cap funds in a bull market, they also take a beating during bear cycles; this is because they experience much higher volatility than large caps. For instance, most large-cap companies regrouped after the prolonged bear phase of 2008-2013, but many small- and mid-cap companies did not. The year started off badly for small- and mid-cap investors, with a large number of stocks in the BSE Mid-Cap index falling by as much as 36% during February-May; in this phase, many stocks on the small-cap index declined by as much as 70%. An extended rally in 2017 led to overheating of most mid-cap stocks, which showed a high trailing PE ratio of almost 30 times. (Trailing PE is calculated by taking the current stock price and dividing it by the trailing earnings per share [EPS] for the past 12 months). In October 2017, SEBI reclassified mutual funds to bring simplicity, standardisation, and truth in the labelling of the various schemes; this led to fund houses adjusting their portfolios by selling off small- and mid-cap stocks they were invested in. The rupee weakened against the dollar on fears that the interest rates on the US currency would rise, which hit returns (in dollar terms) for NRIs and foreign investors, who dumped Indian stocks worth some Rs 9000 crore in April and May. Crude oil prices rose since the onset of the year, affecting actual disposable income available with households and thereby limiting their investments. This contributed to making small- and mid-cap stocks less attractive. Related: Tech stocks: Are they a good investment opportunity? 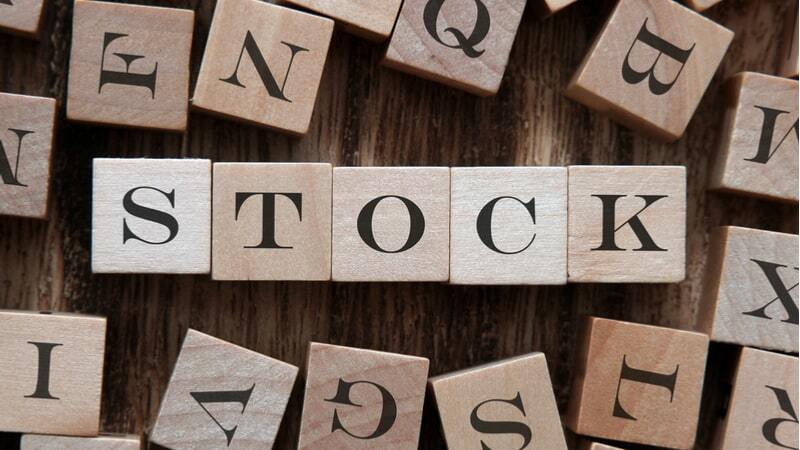 However, there are stocks among this lot that have done well despite the factors weighing them down, and went on to create wealth for shareholders. Speaking at the Reuters Global Investment Outlook Summit, Manish Gunwani, CIO for equity investments at Reliance Mutual Fund, said stocks in five sectors (cement, power utilities, real estate, hotels and hospitals) are attractively priced ‘after correcting 20-40%’ over the past year. Gunwani also said that mid-cap stocks had a ‘material upside’ as the adverse effects of demonetisation and GST rollout were ebbing even as the economy grew, and that he would up his exposure to the five sectors in 2019. There are others too who are betting on mid-caps, including brokerage houses and financial advisors such as Nirmal Bang, Edelweiss, and Karvy. Let us now look at the stocks these two have been backing in 2018 with a long-term view. S Chand & Co: A leading name in publishing and education services, the company is expected to grow as this evergreen industry grows; as if in vindication of this belief, the company posted its highest growth in the last five years. Shemaroo Entertainment Ltd: This media and entertainment company has seen profits growing at a steady clip of 24% over the past five years, despite incurring a high capex on account of buying the film titles. However, its FY18 closing inventory is a positive sign; it was lower than that of FY17, meaning the investment phase is reaching its end. DCB Bank Ltd: Armed with adequate capital and beefed up by a healthy balance sheet, an added advantage for DCB Bank is its stable asset quality. Its PAT is growing, while a healthy growth in net interest income is expected. Apar Industries: An electrical equipment manufacturer, increasing energy demand, and a revival of the power sector due to the UDAY scheme, are all set to propel Apar, which is already on a growth trajectory. Its reduced debt can only help matters. Greaves Cotton Ltd: An engineering company manufacturing engines and heavy equipment, Greaves is virtually debt-free with good upside potential. Jain Irrigation Systems Ltd: A manufacturer of farming accessories such as drip and sprinkler irrigation and plastic piping and related products, Jain Irrigation is also into food processing, a vertical that has grown in terms of profitability. It also has a healthy domestic and exports order book, which promises a double-digit growth. KPR Mill Ltd: Makers of yarn, knitted fabric, and ready-made garments, the company stands to gain from the government’s increasing focus on the textile sector. Edelweiss feels the market could run around in circles over the next year, so investors would do well to focus on specific stocks or sectors. The sectors it identifies are IT, rural, industrial and private banks, while 14 stocks seem to show promise; of these, seven are midcap picks: AIA Engineering, Cochin Shipyard, Dr Lal PathLabs, Equitas, Gujarat Gas, Quess Corp, and SIS. Did you know malaria claims the life of a child every 2 minutes? In 2016, there were 216 million cases of malaria in 91 countries, 5 million more than the 211 million cases reported in 2015. Malaria claims a significant number of lives. In 2016, 445,000 people died from malaria globally, compared to 446,000 estimated deaths in 2015. India alone sees almost 1.2 million cases of malaria each year, with 95% of the population living in malaria-endemic areas. The situation is so unsettling that WHO has asked India to urgently focus on mosquito control. In addition to the health complications and fatality, malaria also comes with a huge financial burden. 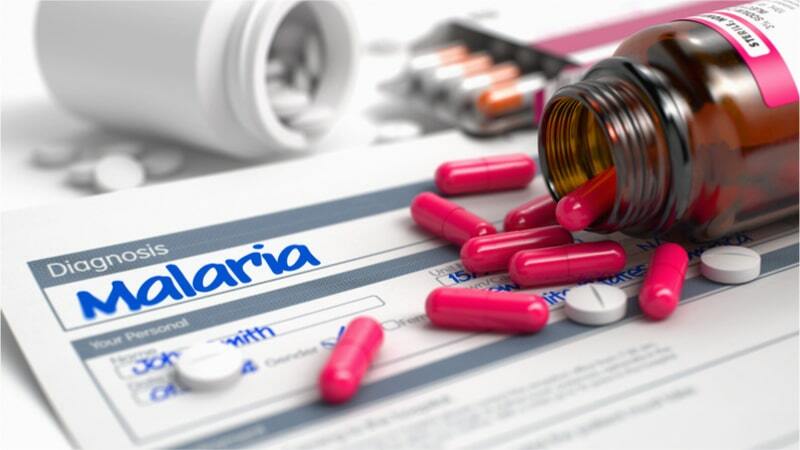 In India, the annual socio-economic burden due to malaria alone is pegged at a whopping US$1.94 billion (Rs 11640 crore)! Related: Why it makes sense to combine a Hospital Cash Plan and Indemnity-based Health Insurance? There are many financial aspects to the disease. From vaccinations, doctor fees, medication, to hospitalisation if need be, and more. It can prove to be very stressful for the middle class, lower middle class and the population living below the poverty line, who are the most susceptible to such diseases. Treatment can cost precious thousands, and can quickly escalate to a couple of lakhs depending on the severity of the disease and the quality of treatment sought. Along with the cost of treatment, there is also the loss of income associated with the disease. Recovery usually takes about two weeks and there is a possibility of relapse. People who have physically taxing jobs may take time to get to a 100% fitness level. Taking time off from work for yourself or your child can be a costly affair. If you run a small business, there is also a business loss to account for in your absence. Mosquito control is your best line of defence against this mosquito-borne virus. Sometimes you can take all the precautions and even then fall prey to the lethal disease. There are no effective vaccinations for malaria yet, nor does recovering from the disease prevent you from getting infected again. A medical emergency like this can create havoc to your finances. A smart and prudent way to safeguard the health and savings of your family is to get health insurance. A comprehensive health insurance plan ensures you get timely and appropriate treatment which is extremely critical for treating malaria. You do not have to worry about hospitalisation charges and treatment costs with cashless claims and depending on the insurance, your post hospitalisation costs may be covered too. A really small insect can bring tremendous health and financial burden, which can be best negated by precautionary lifestyle habits and a good health insurance plan. Get insured today so that small issues do not become big hazards. Read some of the lesser known features of health plans that you should take advantage of. A house is a financial asset that takes years to build. It becomes even dearer if you call it home. When you decide to sell your house, it can be an emotionally challenging time. You are excited at the prospect of moving into a new home. At the same time, the process of selling it can take a toll on you. It is both time-consuming and complicated. Read on to know about things to avoid; this can speed up the sale process and get you a good price. Your house is precious to you, but it could interfere with your judgement. For instance, you may be expecting a high price because of the good memories you have associated with your home over the years and your attachment for it. The best way to move forward is to consider the transaction as a business deal. It can help in distancing yourself emotionally. Not hiring a real estate agent can be a mistake. House-broking services come at a price but save time and effort. A good agent can offer you the right perspective about the market and help in setting a fair price. It is easier to get a buyer when you have realistic expectations. A house agent can also help you negotiate with prospective buyers for a better deal. Moreover, they have better resources at their disposal. Most importantly, an agent is a neutral party and can thereby help to keep emotions at bay. You may think a broken window or peeling paint are minor matters. However, these small things can dissuade potential buyers from making an offer. They may feel the house could have deeper issues and need additional repairs. Fixing minor problems is cheap; ignoring them can cost you dearly. Nobody wants to invest in something that requires considerable money and effort to repair. Online listings are effective in reaching a broader audience. An agent must be able to take good pictures of your house to attract potential buyers. An unclean and overly cluttered house can work against you. You should, therefore, get rid of unnecessary items to provide a sense of space to prospective buyers. In the end, a lot depends on how you conduct yourself during the sale process. It can be time-consuming and may test your patience. You may come across buyers who are only browsing the market and not interested in making a bid. Paperwork and legalities could throw you off track. You may want to prepare yourself mentally and ready yourself for realistic expectations if you wish to bag a good deal. 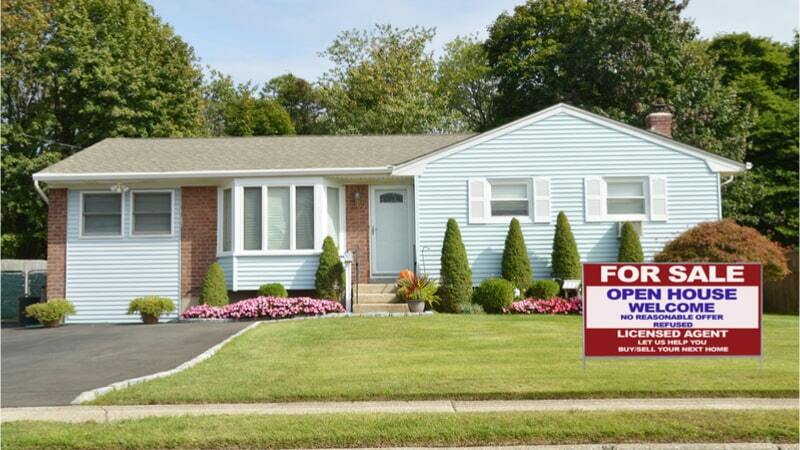 Numerous factors and market conditions come into play when you set out to sell your house. Avoiding these mistakes can help you maintain your sanity and achieve a harmonious deal. The prospect of working in one’s pyjamas or making a living while travelling the world is no longer wishful thinking. 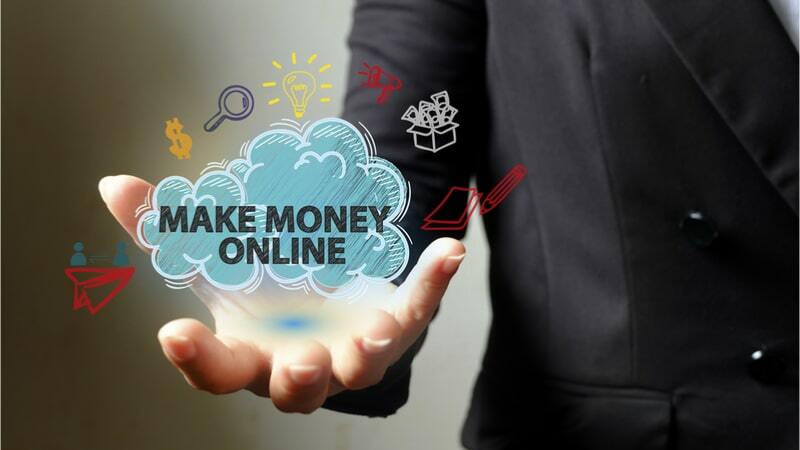 The proliferation of the Internet has introduced a number of ways of making money online. This has made it possible for one to earn a livelihood without being caged in a cubicle. Wondering what the opportunities are for those wanting to make money online with different skill-sets and talents? Let’s take a look! Whether you are a photographer or an HR specialist, there are plenty of online jobs that pay well. Websites such as Upwork.com, Fiverr.com, and Hubstaff Talent regularly post job listings in various categories. You may need a PayPal account, as quite a number of these online jobs are posted from overseas. Additionally, you can directly contact brands and agencies to check for openings. These days, a good number of corporates prefer diligent freelance workers – it saves them money as the contractor is not on the payroll. One of the options that pop up when you search for online jobs is affiliate marketing. However, this may call for some preliminary setting-up and promotional stages. You will need to create your own website, ideally on an ‘authority’ topic such as health, fashion, insurance, or just about anything you’re good at. Once the site gains traction, you can do affiliate marketing for relevant brands. For instance, if you are a photographer with a website on tips and tricks, not only can you find gigs online, you can also contact brands that retail cameras and accessories for advertising on your site and earn additional revenue. Whether it’s English or math, you can use your academic prowess to mint money by taking online classes. You can tie up with sites like VIPKID, BharatTutors.com, or Vedantu to earn up to $22 an hour. You also get other incentives – say, for starting and ending classes on time. Health and fitness professionals can make a fortune online. If you are a trainer or nutritionist, you can coach people from all over the world. The demand is high and people are willing to pay good money to get fit. It usually takes a few Skype calls, preparation of diet and training charts, and regular communication. Why not channel your knowledge of social media into helping brands make the right noises on social media? One can become a highly paid social media strategist, or simply help brands do their routine job of posting content and tracking responses on platforms such as Facebook, Twitter, and Instagram. Big brands are only too willing to pay well if you have some solid work experience to back you up. You don’t need to be the next Shakespeare to become a successful author. From ghost-writing for others to penning your own thoughts and experiences on topics that interest you, if words are your forte, you can make a living out of it. Many are deterred by the multiple steps involved in book publishing. But with Amazon Kindle Direct Publishing, you can publish your book in five minutes, make it available for sale in less than 48 hours, and earn up to 70% royalty. Those looking for ways to earn online by automating the process will find this immensely useful. A popular way to make money online is micro-blogging. From reviewing gadgets to cooking tips, pick one or more social media platforms and become an authority influencer in your chosen domain. This does require some solid marketing and promotion in the beginning, but once established, you can earn lakhs every month if you provide valuable content. Now that you know making money online is not only easy but also gives you the opportunity to follow your passion, why wait? Start your own journey towards earning online today! Read more about How to earn money online? 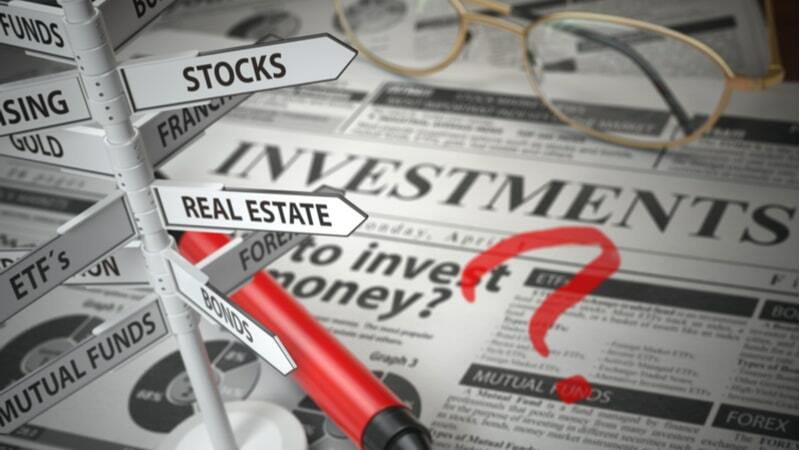 Several questions come to your mind when investing money on land as compared to investing in a house or flat, jewellery, government bonds, equity stocks, and mutual funds. Bank savings are not named here since we all know that it is the safest form of investment, albeit the low returns. In the case of equities, the risks are more and so are the profits, which also requires a deeper understanding of the market. However, a piece of land or property is considered as the safest bet in terms of appreciation of the investment. People do a lot of research as well as soul searching while buying a piece of land. Nothing wrong in it; and on the contrary, it is necessary to ascertain specific facts before purchasing a piece of land. Here we list some of the most important factors to keep in mind before you invest in land. The most important point is, of course, the financial capacity of the investor. Every investment can be limited as per that capacity. Even if the investment is a suburban flat, because of skyrocketing prices of property, the allocated amount can turn out to be very high. Most of those who have a salaried income will find EMIs eating up a bulk of their monthly expenditure. In the case of land, it is not so. The investment amount is often much less, especially if the property is on the outskirts of the city and away from the commercial establishments. Of course, any land you purchase within the city limits will cost you much more than a house. This brings us to the second part of the point mentioned above. More often than not, it is heard that NRIs, industrialists and movie or sports celebrities have purchased massive plots of land. It is a myth that land can be only purchased for investment purposes by the rich and the millionaires. However, it is not always true. The fact is that land purchase is something that is very much within the reach of middle-class working individuals. However, it may depend upon the location of the land and the future civic and commercial growth plans of that area. This requires a lot of painstaking efforts through an extensive network of friends, relatives and trustworthy agents. A lot of patience and effort goes into the process and therefore, many people prefer to start scouting for a flat which can be selected in a very short time frame. It is necessary to consider a macro as well as a micro approach while purchasing land at a particular location. The investor needs to continuously monitor major economic trends, reports of local and national real estate consultants, etc. This includes the past as well as on-going trends. 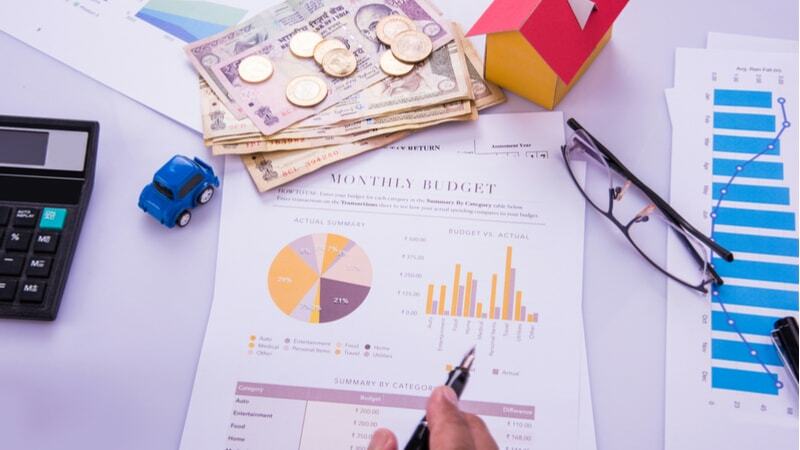 It is equally important to know the type of returns that various other forms of long-term investments will yield, mostly in terms of mutual fund, gold, insurance policies, pension plans, etc. It was estimated that from 2008 to 2013, land investments had shown the highest performance in terms of its appreciation as compared to other long-term investments. However, this trend may change. Again, the particular place needs to have future value for the land to appreciate. 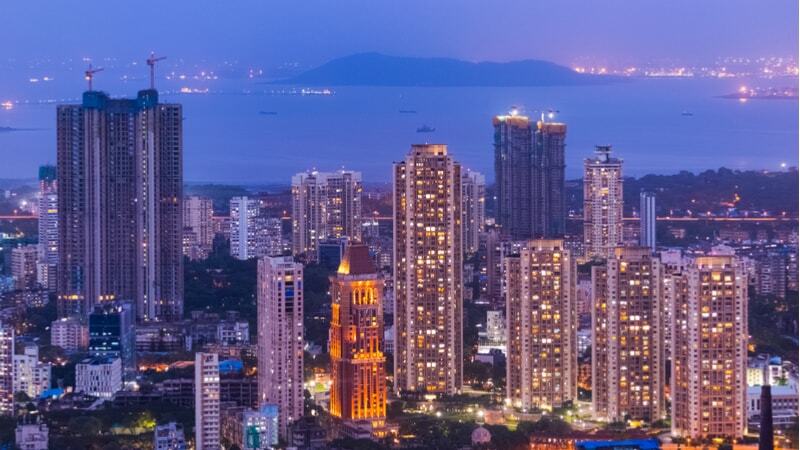 With the government coming out with projects on SEZs, industrial corridors, newer airports, smart cities, etc., there may be a sudden rise in the value of plots. You should always be on the lookout for those. Try to select plots of land which are small in size and clustered next to one another. The main reason is that an additional plot can be bought as the financial strength of the investor increases and the land value is showing a steady appreciation over a particular time frame. It is not necessary to invest in big chunks of land and be straddled with less than expected returns. It is better to buy a small plot in the beginning and then keep on adding the land at a slow pace without feeling a pinch on the financial capacity. It is necessary that the investor considers such an area where this existing flexibility is available. This is one big advantage that any prospective land investor will have when compared to investing in a house as your options of buying the adjoining space will be limited there. At the same time, if the land value does not appreciate much, then selling a small portion of the land will be much easier. It is equally necessary that anybody interested in land investment has to get every aspect of tax savings clarified. There is a lot of myth vs reality statements which go on regarding the tax savings accruing when purchasing a piece of land. Sometimes, it is even assumed that no tax benefit can be availed in any form of land investment. It is better not to assume and do some groundwork and research instead. The loan amount you avail for purchasing land is not eligible for any benefits. The interest amount payable can be capitalised and clubbed with the acquisition cost. This will give capital gains tax benefits while selling the land at any future date. Similarly, if a house is being constructed on the land, then it is possible to get a tax benefit on the principal and interest portion of the construction amount, but only after the same is completed. The criteria for bank loans are not so easy while going for land investments. Every investor has to consider this angle carefully. 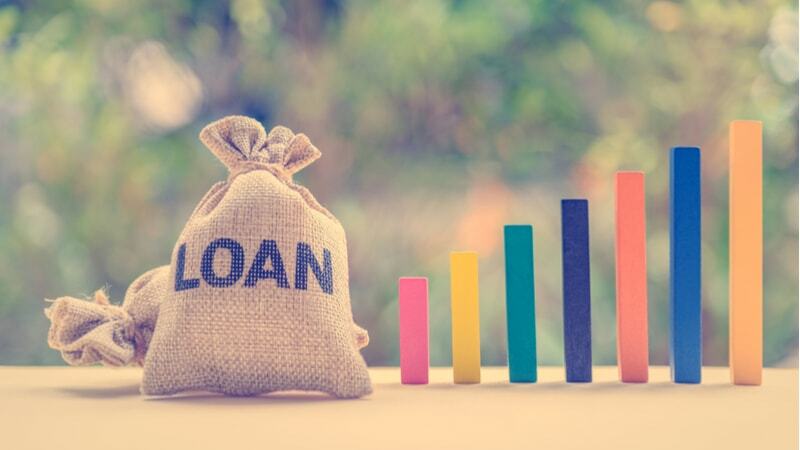 In the case of residential and any form of housing loan, the loan disbursements happen at a swift pace. This is because most of the housing projects in metros, tier 2 and tier 3 cities are bank-approved. However, only specific land loans are subject to bank approvals. Mainly these are residential plots residing within municipality limits. Interior village lands and agricultural lands do not fall under the bank loan approval scheme. Again, the loan to value is lesser for a plot of land as compared to housing loans. Typically, the loan amount sanctioned comes to not more than 70% of the land value. This might slightly differ from bank to bank. The paperwork involved in the possession of land is much more detailed and needs to go through a process of careful examination and documentation unlike other investments such as house ownership papers, which is relatively simple. There may be many hidden claims with reference to the title deed and ownership. First and foremost, the title deed should be very clear, and the transfer claim should not be questioned at all. There should not be any impediment on the land, be it illegal construction, encroachment, ownership dispute and litigation etc. The release certificate should be given by the bank which is a go-ahead from the bank that there are no debt payments pending on the land. You must also take care of the necessary local approvals from the municipal office giving the green signal against any form of legal or compliance hurdles. Jagadish Puttaraj an Independent Consultant Editor on Newsilike. The Insurance Regulatory and Development Authority of India (IRDAI), through a circular, has asked insurance providers to espouse clear and transparent modes of communication at various stages of claim settlement of a policyholder. The IRDAI emphasised that transparent communication plays a pivotal role in servicing insurance needs, and in ensuring the benefits of the insurance policy reach the beneficiaries in a timely manner. Related: How to choose the right insurance company? What to expect from your insurance companies? Starting July 1, all insurance companies – life, health and general – will be required to send communication from issuance to servicing of policies through post, e-mail, SMS or any other electronic form approved by the IRDAI. Insurance companies will be needed to set up a tracking mechanism that will allow policyholders to remain updated on the status of their claim every step of the way. Each claim will be assigned a unique reference number that will help track communication, requirement and processing of documentation, scrutiny to approval and disbursal of benefits. The insurance watchdog especially underlined that in case of health insurance, where Third Party Administrators (TPAs) have been involved for rendering health services, the insurance provider will take the lead from the issuance of ID cards and all related communication from end-to-end to ensure the claimant is updated on the status at every stage. All communication has to be delivered in easy to read and understand, simple language. Wherever possible insurers should communicate in the policyholder’s regional/ local language from place of residence other than English and Hindi. Additionally, insurance providers have been directed to collect e-mail IDs and mobile numbers of policyholders at the point of sale and for all policies going forward as a measure to improve service delivery. The insurance companies will also have to send brief advisory messages in addition to the standard cautionary messages about the perils of sharing confidential personal information and not falling prey to bogus communication and offers from miscreants/ impersonators. Know all about your rights and duties while buying insurance.